When I was a kid, I always said that when I have a child, I would be the “cool dad”. Being a Picky Eater, my 8 year old self told my mom when she tried to convince me to finish my milk before allowing me to have dessert, “When I have kids, I’ll let them eat and drink anything they want!”. Fast forward more than 30 years later, and I discovered raising a daughter is really no joke. You realize the importance of nutrition in your child’s diet, and how critical it is to her growing up. 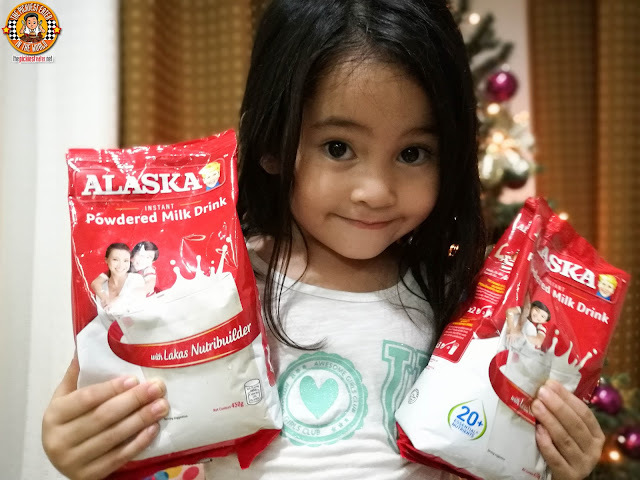 It’s a good thing Rain, unlike her picky daddy, is a fan of Alaska Powdered Milk drink, and with it’s Lakas Nutribuilders, I know she’s getting healthy benefits with every glass! I think I've made it clear in a previous post how absolutely relaxing my stay at Meranti Hotel was. I lived in my Grandfather's in the Scout Area for a few years during my college days, so this actually gave me a new perspective to a familiar neighborhood. We spent many Christmas celebrations there, so I felt right at home when Meranti invited us over to feast on their upcoming Christmas Set meals that will be served this Holiday Season at the hotel's flagship cafe, Maple at Meranti! Here's a peek at the delicious spread we enjoyed! With the Yuletide season upon us, Rockstar Chef, Miko Aspiras uses this time to get his creative juices flowing in his highly successful Ice Cream Parlor, Freezer Burn. 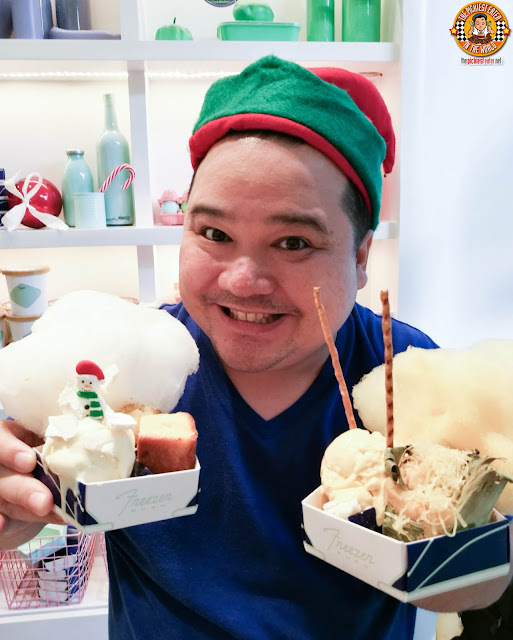 Looking to innovate more flavors, Chef Miko developed a Christmas themed composed Ice Cream line that would make Santa himself want to stop over in the middle of delivering gifts, just for a scoop! I'm always excited when I get a chance to visit the South, especially Alabang, If only traffic permitted, I'm pretty sure I'd be there more often, checking out the amazing restaurants and hotels in the area. I've been to a few hotels in Alabang, and I've always left impressed with the state of the art facilities, luxurious accommodations and world class service. I was ecstatic when my family and I got opportunity to stay at one of the newest names in serviced apartments down South, Somerset Alabang Manila. 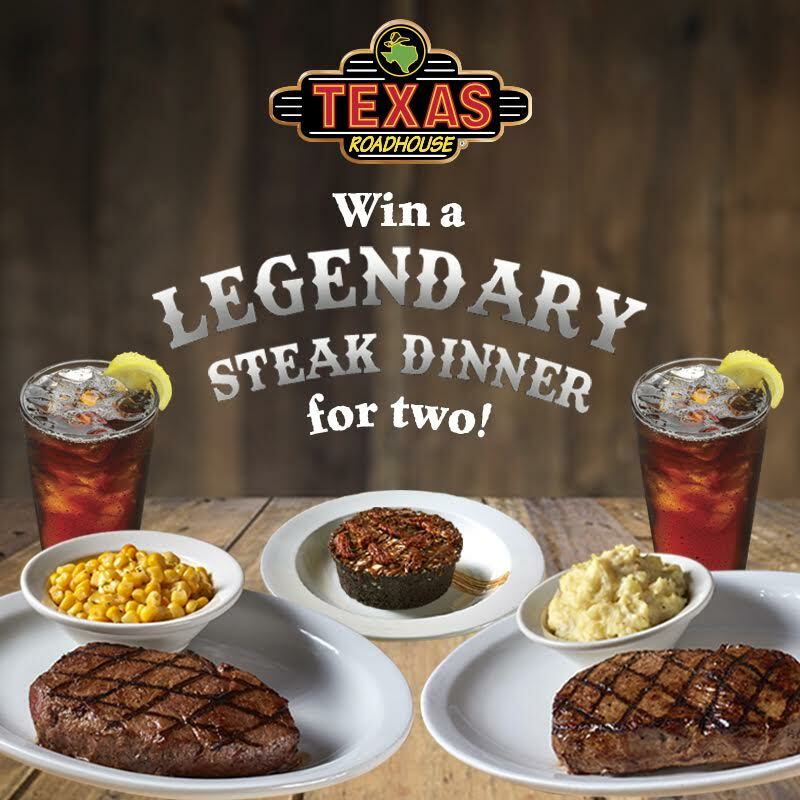 WIN A LEGENDARY STEAK DINNER FOR TWO AT TEXAS ROADHOUSE! Dude, I feel you, man. You want to take your loved one out for a nice dinner, perhaps impress him or her with an evening of Steaks, and made from scratch sides. Sounds simple enough, right? However, the Yuletide season is coming up, and you've still got loads of bills to pay, Christmas Gifts to buy and all that, so you think to yourself, "Maybe I'll just wait till AFTER the holidays!". Well guess what? This could be your chance to win an AMAZING Steak Dinner for two, absolutely free! The Pickiest Eater in The World (Me) and Texas Roadhouse has got your back! The year was 1997, and the place was Las Vegas. My brother and I chipped in part of our vacation money to take our dad out on a limo ride around the City of Lights for his birthday. My Godmother was a travel agent so we got a great deal on our limo ride, but since we had splurged on the wheels, it meant dinner would have to be sacrificed. Our Limo Driver picked us up at the MGM Grand promptly at 6:45pm, and I noticed my dad, despite being in an incredibly luxurious limo, seemed a tad crabby. My dad is notorious for getting grumpy when his tummy grumbles so it clicked to my brother that if he was going to fully enjoy this limo ride, he would need to get some food in his stomach. I told my Ninang about the situation, so she casually asked the Limo driver where was a quick but delicious place to grab something to eat before we went on our tour around Las Vegas (we weren't allowed to eat inside the car). The driver suggested his favorite burger spot which was conveniently located three minutes away, just along the Las Vegas Strip. And he even told my aunt that since he hadn't had dinner yet, if we bought him a burger, he'd only start the time AFTER we all had eaten.. A concession he was willing to make ONLY for a restaurant called, Fatburger. That told me that this must be one awesome burger. After one bite of a Double Fatburger with Bacon and Egg, I just had to give that Limo Driver a high five. 19 years later, Fatburger, has become one of the emerging burger chains in the global scene, and has now finally opened a branch in Manila! AIR ASIA TELLS THE SUNNY SONNY STORY: #TravelGr8 Vacation Essentials! Air Asia has quickly emerged as Asia's leading name in budget airline travel. In the past couple of years that I've been traveling with Air Asia, one thing I've noticed with this airline is that they always find a way to go one step beyond their offered services to their passengers. 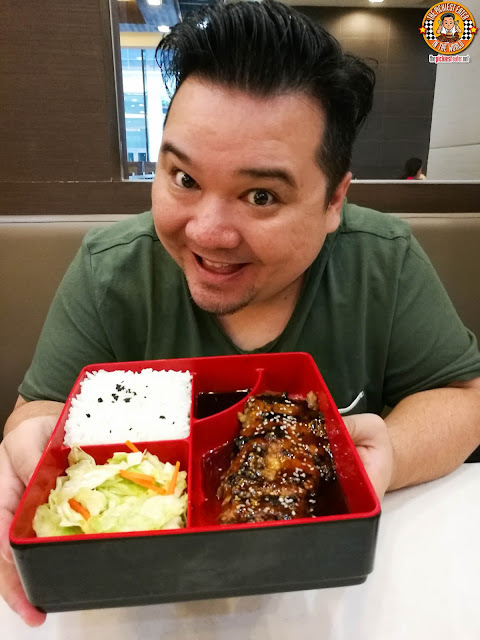 For example, it wasn't enough for Air Asia to provide meals for their passengers, but they went the extra mile to develop a menu that ensures the food they serve are absolutely delicious. Their in-flight shopping catalog is no different. Not only are they constantly adding products that is useful to the traveler, but they recently added a product to their lineup that is meaningful not just to their passengers, but to the less fortunate as well. Allow me to tell you all about Air Asia's new #TravelGr8 Vacation Essentials In Flight Catalog! RAIN'S BIRTHDAY PART 2: LUNCH AT FAB, THE RESTAURANT! On the day of Rain's birthday, Rina and I picked up our little princess after school, and headed straight to Holiday Inn Galleria Manila for a delicious family lunch. Rain had a long standing invitation from our friends at Holiday Inn to try their food there, so we thought this would be the perfect time to visit. In case you think you misread that, you didn't. RAIN is the one with an invite, and Rina and I were her "Plus Twos". 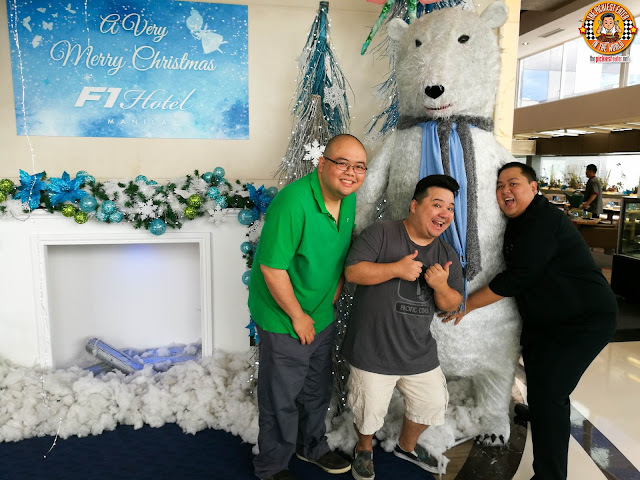 I've been to Fairmont Hotel's Spectrum quite a number of times in the past, and I can safely say it's one of the best hotel buffets in Metro Manila. They constantly think of themes to keep their guests on their toes, and the kitchen staff from the entrees to the pastries, always rise to the challenge in coming up with ideas to match the selected motif. Though I consider myself I fan of the hotel's food and service, I had yet to see their accommodations, Of course, this is the prestigious Fairmont name we were talking about, so I had a pretty good idea that it was nothing short of amazing, but it's really different when you see it for yourself. So the weekend before Rain's Birthday. we were invited to experience a Staycation at Fairmont Hotel, which was perfect treat for my little girl in anticipation for her big day! For decades, Rebisco has been the leading name in innovating biscuits in other snack foods. After creating so many beloved favorites, they decided to go back to the basics and create a Chocolate Cookie Sandwich that has shaken up the competition. Named after their popular line Chocolate Wafer Bars, Rebisco has introduced the new Choco Mucho Cookie Sandwich! I've always been more of a "No Frills" kind of guy when it comes to food. I don't need fancy plating or overly expensive ingredients to make me happy. Don't get me wrong, I enjoy some of the finer things every now and then, but it's honestly more on the simple comfort food that gets my tummy going. What I enjoyed about Grind Bistro, was how it took classic pub favorites, given dynamic twists, without going all frou frou. It was classic, comfort food, executed with finesse and precision. Exactly the kind of restaurant that I would love going back to again and again. I've had the fortunate opportunity to go to Malaysia twice this year, and I must say I absolutely fell in love with the country that I regrettably overlooked throughout my entire existence. More than just a food paradise, the warmth of Malaysia's people, the splendor of it's natural beauty, and the disciplined demeanor of the community, left me spellbound. But yes, the food was truly outstanding. Their rich culture allowed for a plethora of influences from around the world, leaving me to wonder what else from Asian Cuisine have I been missing out on due to my stubborn pickiness? 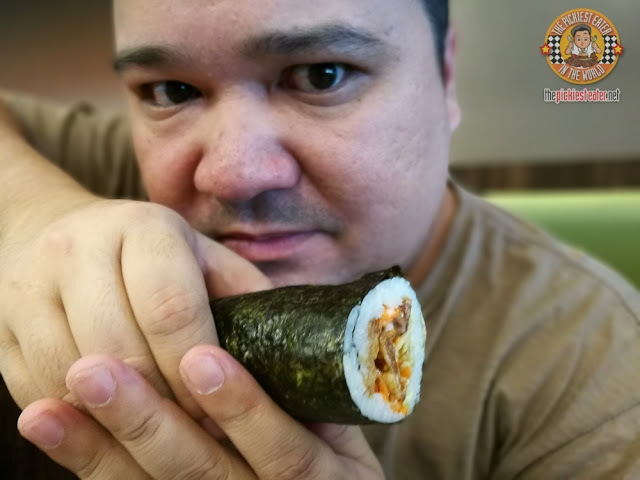 I might not be able to go on a Food tour of Asia anytime soon, however the latest collaboration of renowned Chef Nicco Santos and the Tasteless Group, "Hey Handsome", helped me take a mini tour of Asian Flavors, one plate at a time. When I first moved to Manila after years of living in Cebu, I stayed at my Grandfather's place, located in the Scout Area in Quezon City. Although the Tomas Morato area had a lot of the classic restaurants that are still there today, the choices weren't as eclectic as the current crop of food establishments that have sprouted in the area. One such place that has sprung out of nowhere, is Brooklyn's New York Pizza. Despite the Western name, Brooklyn's is much more than an American inspired Pizza joint. The menu is filled with items from the United States, but it also leaves room for a bit of homegrown favorites and innovations! JULIE'S BISCUITS: TRULY BAKED WITH LOVE.. AND RAINS BIRTHDAY GIVEAWAY! I remember the first time I had heard about Julie’s Biscuits. It was a few months ago, when I visited my parents at Antipolo. As soon as I arrived, my mom rather excitedly pulled Rina and I to her room, to show me her newest grocery discovery. Lo, and behold, it was Julie’s Cheese Sandwich Biscuits. There’s a very big chance that my first thought was exactly the same as yours when you heard the brand name, “Julie’s Biscuits”. I’m guessing you thought to yourself, “Is this the same as Julie’s Bakeshop?”. The answer is a resounding NO, the Malaysian-based Julie’s biscuits has absolutely no connection with the homegrown Julie’s Bakeshop. The name is a mere coincidence. During the end of August, I was very fortunate to be among the group of Filipino Bloggers selected by Julie’s Biscuits to fly to Malaysia and take a tour of their factory, and see for ourselves what sets Julie’s Biscuits apart from it’s contemporaries. What I discovered was a world class company that is emerging as a major player in the snack food industry, whose claim to fame is their products is not only delicious, but baked with love. This is my Julie’s Biscuits experience. 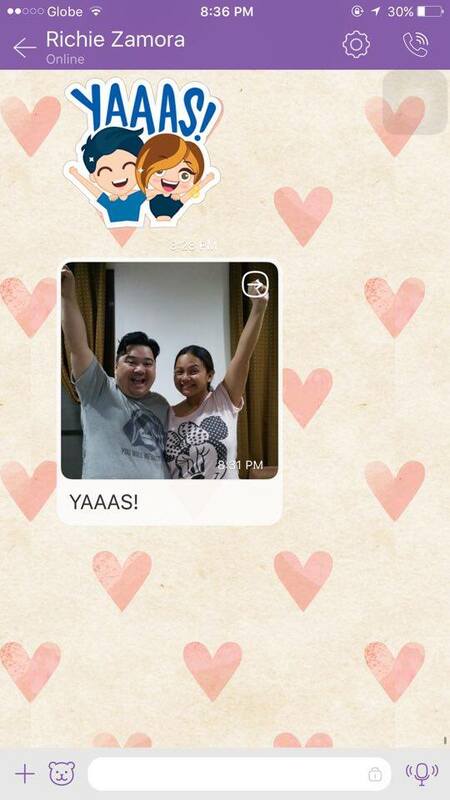 THE SM SUPERMALLS VIBER STICKER PACK IS WHERE IT'S AT! Living in the digital age has made communication with one another so much easier. After thinking that cellular phones couldn’t bring people any closer together than text messaging ever has, here comes a slew of Messaging apps that that makes getting in touch with someone so simple, but so fun at the same time. 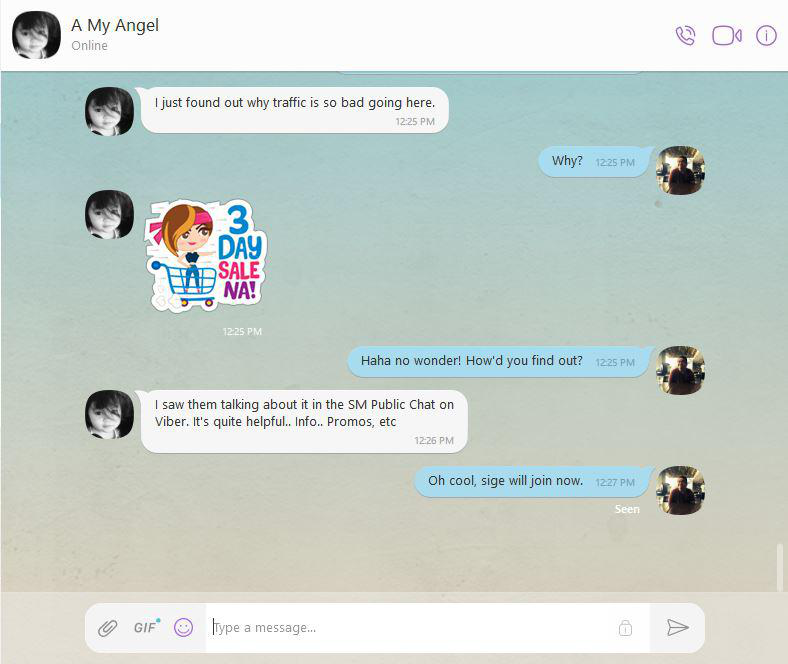 Undoubtedly, the number one App on the market today is Viber, and is the communication app of choice between Rina and I. A few weeks ago, my wife was fiddling through the sticker store, and saw a pack that was available for free download, namely the SM Sticker Pak! Garnern! She thought it was hilarious, and asked me to download it as well. Rina was recently up for promotion in her new work, and has been working her heart out to get it. On the day that she found out she was finally going to be getting the promotion, I decided to take her out for a simple, yet fun day at SM Aura, to have lunch at one of her favorite restaurants, and to do a little bit of shopping as well! Not only is the Sticker Pack fun to use in your conversations, but downloading it gives you a chance to avail of discounts at SM Supermalls as well! Beginning August 15 until October 15, 2016, simply show that you have downloaded the SM sticker pack, and you’re eligible of a 10% discount on all regular priced items with minimum spend of 1,500! Not bad savings by just downloading something into your phone! You can also get a chance to win shirts from the new SM x Viber Tee Collection by following SM Supermalls on Viber Public Chat! So be part of #TheSMSquad by joining the SM Public chat on Viber! If you want to be the first to find out about promos, sales, and upcoming events from your favorite SM Supermall, #SMonViber is where it’s at! October 7, 2016 marks the day Denny's officially opens its first branch in the Philippines! THE 13TH BITE: CHILI'S TAKES ON U.P. TOWN CENTER! 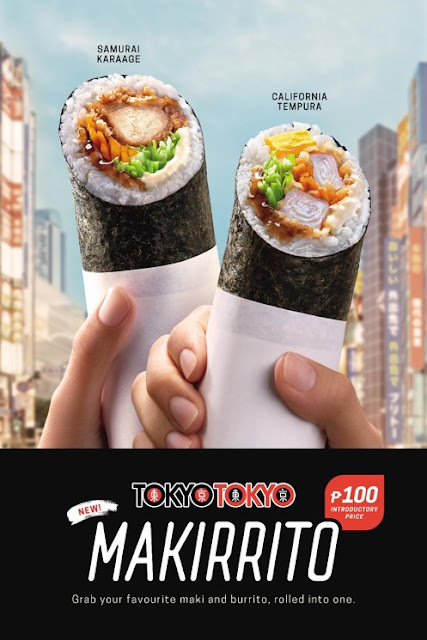 For the 13th Bite, We're featuring one of the most popular international food chains that has opened their 9th Branch in the Philippines! Chili's has been known as the go to place for practically every celebration and we Pinoys can't seem to get enough of it! THE AWESOME LOCK AND LOCK FEATHER LIGHT TUMBLER! I'm always eager to share with my readers about my experience with products that I truly believe in. One of those things that I was anxious to share with you, is my new Lock and Lock Feather Light Tumbler! It's handy, lightweight and so easy to use, it left me wondering how I got around for so long without it! When I moved to Manila from Cebu for college, I stayed in my grandfather's place in Quezon City for a few years. Our family house in Antipolo hadn't gone through its badly needed renovation, not to mention the daily drive and commute to Taft would have made my college life even more hellish than it was (did I ever mention how much I hate Math?). The Scout Area dining scene in the late 90's is completely different from the food haven it is now. Although there are some iconic establishments that have survived the test of time, the restaurant choices were rather limited, and don't get me started on Hotels in the area, because a decent one was non-existent. So if you had told me that nearly 20 years ago I'd be spending a luxurious staycation in a gorgeous Boutique hotel just down the road from my Grandfather's house, I would have told you that you were insane. But it is true. Meranti Hotel has emerged as an impressive option to stay in when looking for accommodations in Quezon City! APPLEBEES PHILIPPINES: FANNING THE FLAME IN EASTWOOD CITY! One of the biggest restaurant Chains in the world has opened up their second branch in the Philippines, bringing yet a new dining option to the ever growing Eastwood City! 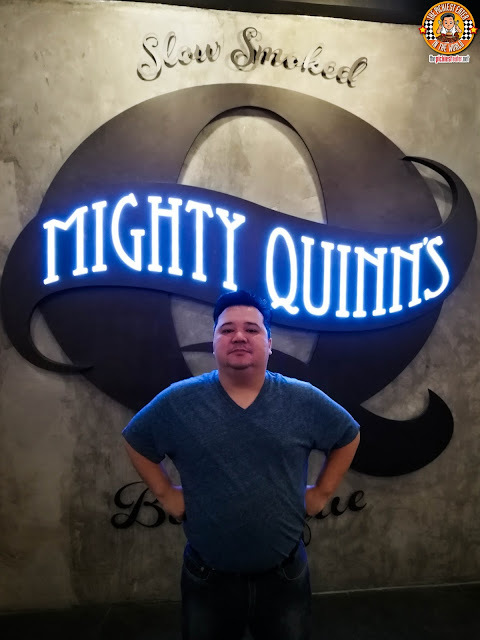 Already one of the hottest dining spots in the country, the fun loving people of QC will be happy to know there's a new place in town where you can celebrate everything! In case ya'll didn't notice, I love me some steak. More than that though, I love me some affordable steaks, Blog posts abour restaurants with quality, affordable steaks are usually among my favorite things to share with my readers. 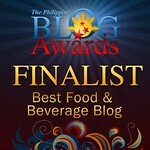 Which is why I was ecstatic to write about Johnny's Steak and Grill, located at the ground floor of the posh B Hotel in Quezon City! I've never been much of a gambler, but City of Dreams Manila never ceases to amaze me whenever I drop by. Whether it was to dine at Hyatt or take the family to Dream Play, the whole spectacle of the complex always lives up to its name with every visit. I've had the pleasure of dining at The Cafe a few times, but I had yet to even set foot in the Crown Towers. let alone try any of their restaurants. Fortunately, when Crystal Dragon, Crown Tower's premium Cantonese restaurant, launched their Mid-Autumn Festival Menu, Little old me managed to score an invitation, making my first trip to Crown Towers a memorable one. A FAMILY NIGHT OUT WITH IHOP'S NEW DISHES! Since we live in the same village, Rina and I usually invite my father in law and sister in law over for dinner, so Rain could spend more time with them. One weekend, Rina wanted to break the monotony of our usual fare, and suggested we have a nice family dinner out for a change. Since Rain was going to be with us, I suggested IHOP, because our little baby/lady may not eat much, but something she does love is pancakes. A little research led us to discover that IHOP has new additions to its menu, so I thought this would be a great opportunity to try us many items as I could! I think I may have eaten more steak this year than any other time in my life. Not that I'm complaining, as everytime I go to a different steakhouse, there's always something about the place that makes it a whole new experience. I've been to Chops Chicago Steakhouse's Greenbelt Branch a few years back, but I had yet to visit the branch nearer to me, located at the East Wing of Shangri-la Mall. One fine day, my blogger buddies and I paid a visit to Chops, to find out if their food, particularly their steaks, would do the windy city proud! A few months ago, I had the pleasure of flying to Penang in Malaysia for the first time, via Air Asia's Fly thru service that allowed me the luxury of only having to check in my baggage once, and not having to worry about it during my layover at Kuala Lumpur. The sights and attractions were phenomenal, and the food, as you'll see in an upcoming post, was nothing short of amazing. However, another factor that made our stay in Penang even more enjoyable, was our hotel, Sunway Georgetown. Oftentimes, the choice of hotel is often overlooked. More often than not, you select your accomodations based on your budget, since you have the mindset that your hotel won't matter because you'll only be there to sleep anyway. Sunway Georgetown, is different. I feel that my stay in this outstanding hotel played an integral part of my Penang experience, where I discovered the warmth and genuine accommodating nature of the Malaysian people. Let me tell you why you should stay in Sunway Georgetown the next time you go to Penang.. I'll be honest with you. I was a little sad when I saw that one of my favorite Chinese restaurants, Lugang, closed down their branch at Connecticut Ave. in San Juan. Sure there are other branches of Lugang conveniently located at malls around the metro, but the size of this branch, coupled with its convenient dedicated parking lot across the street, gave it a special place in my heart.